An Archispirostreptus gigas that seems to float at speed on a wave of tiny feet is a sight that can by now be beheld at many terrarium fairs. The apparent effortlessness with which these invertebrates coordinate their small but at the same time numerous limbs is something every observer finds puzzling. Spectacular colours and the unusual body shape of some species have meanwhile made millipedes to widely kept terrarium animals whose reasonable space requirements render them perfect for trendy Nano Terrariam. 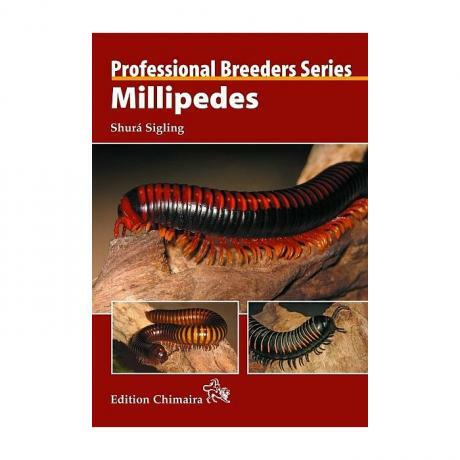 Shur Sigling shares her years of experience with these primeval animals with the ever-growing fan community of millipedes and here presents a manual that provides practical and proven suggestions for how to keep them successfully. 420 full-colour photos, 11 colour drawings, 2 diagrams and 67 distribution maps.